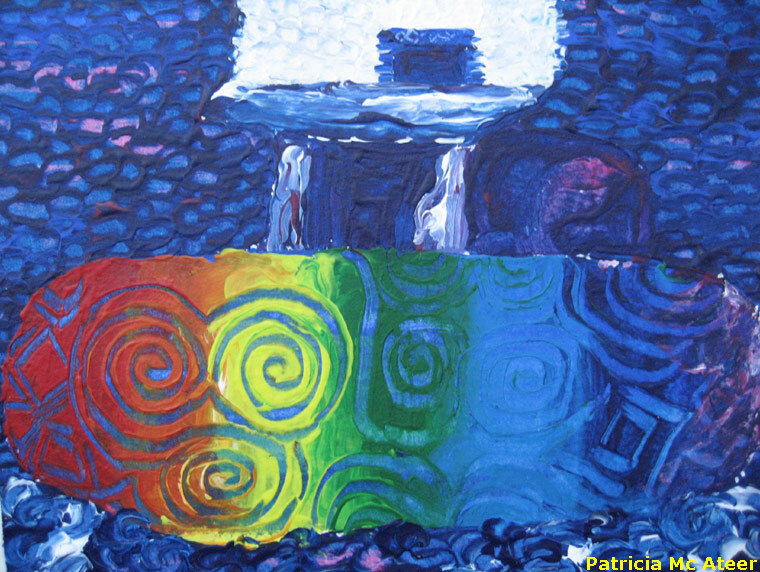 Using rainbow underlay to illustrate the energy the stone holds and emits. The deep blue allows the colours to bleed out into the light. With added texture the different golds allows the spirals to shimmer and flicker showing the movement of the stone's energy. The gold represents the new light of the solstice. The Cailleach wears Pearl in her hair. The standing stones in front of the entrance of Newgrange. Stone one casts its shadow on to the entrance at Solstice. 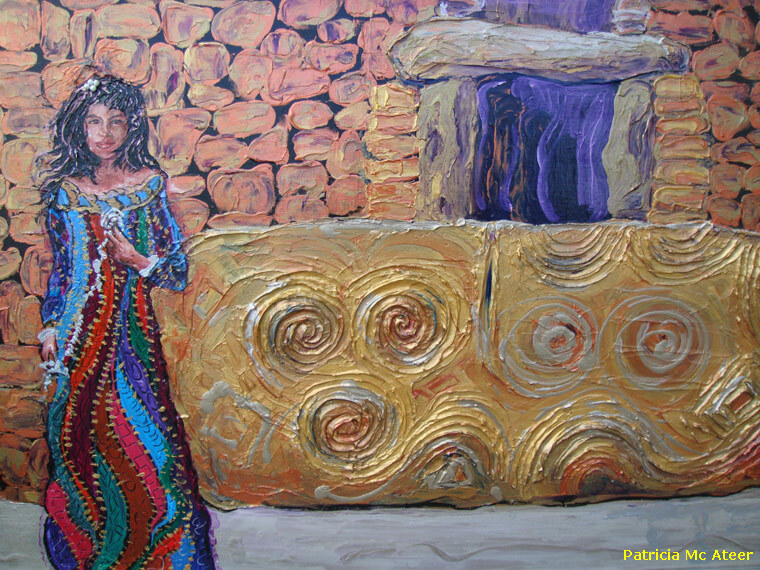 Done almost entirely using fingertips to feel the energy as Patricia painted. 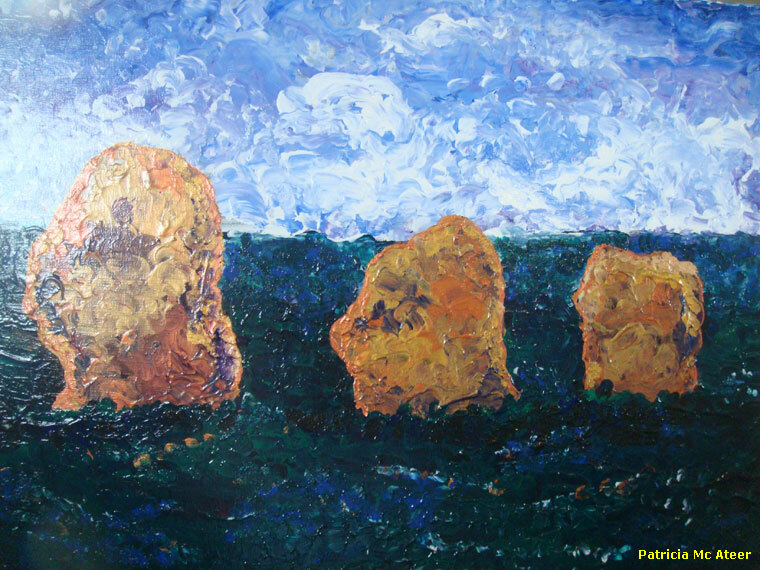 One of Patricia's early paintings experimenting with colour. She used match sticks to carve the colour from underneath the spirals and markings on the Entrance Stone. 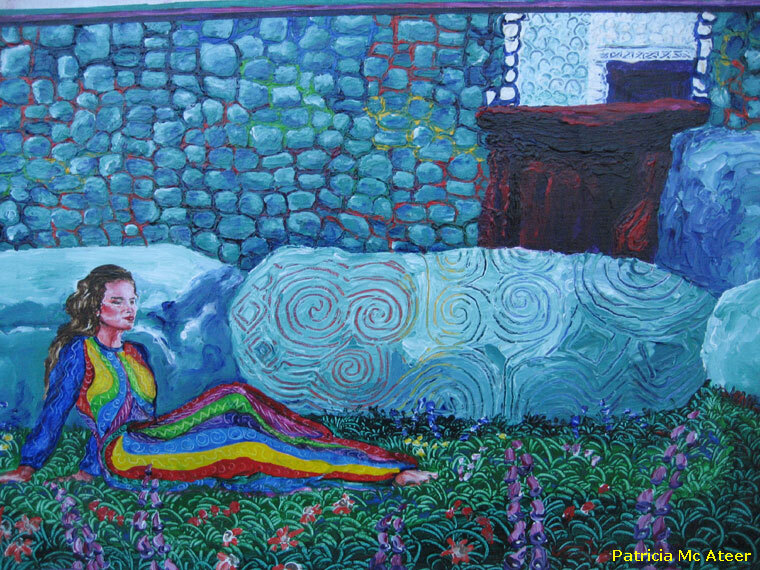 Patricia is from Dundalk and is now living in Omeath, Co. Louth. 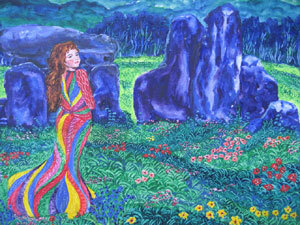 Her work is contemporary visual in acrylic and mixed media and her use of colour is essential, not only in the paintings but because colour, movement and light remind her that legends and mythology lay the foundation for cultures very different from us and yet at the same time very similar to us on some inner level.